The BBC will offer three Red Button streams with extra Glastonbury coverage, enabling viewers to choose from up to five feeds. During the event, which will be televised on 23rd-25th June 2017, BBC Two and BBC Four will provide wall-to-wall coverage of all the main headline acts, including Radiohead and Ed Sheeran on BBC Two and Dizzee Rascal on BBC Four. But as Glastonbury doesn't clash with Wimbledon this year, the BBC will be able to offer three additional streams of all-evening coverage without the risk of overrunning tennis, meaning TV viewers will have up to five different feeds from Glastonbury to choose from across BBC Two, BBC Four and Red Button 1-3 for most of the three Glastonbury evenings. Full coverage, with access to all extra feeds from Glastonbury will also be available on mobile, tablets, consoles and desktop PCs and Macs via the BBC iPlayer. BBC Red Button+ is available on most modern smart TVs and boxes, including Virgin TiVo, YouView (BT/TalkTalk/Plusnet) and newer Freesat receivers, but notably not Sky. Through Red Button+ all streams of coverage will be available, plus on-demand highlights via the BBC iPlayer. 19:30-01:30 Live coverage on up to three streams on the original Red Button service on all major TV platforms, with more available live and on-demand for viewers with devices that support the newer, connected Red Button+ service. 17:30-19:00 Highlights and live performances, including Jools Holland. 19:00 Toots & The Maytals and Liam Gallagher. 17:30-01:30 Live coverage on up to three streams on the original Red Button service on all major TV platforms, with more available live and on-demand for viewers with devices that support the newer, connected Red Button+ service. 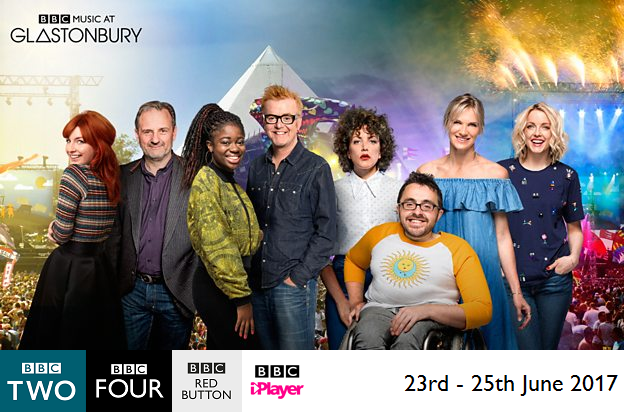 See @BBCRedButton on Twitter for timings of the various performances being shown. 18:00-00:00 Live coverage on up to three streams on the original Red Button service on all major TV platforms, with more available live and on-demand for viewers with devices that support the newer, connected Red Button+ service.